Gift certificates are a wonderful way of giving that special person a gift that she or he really wants. Once you fill in the form above, you will go through checkout as normal. The store admin will receive notification via email of the purchase as well as the buyer and the recipient. The recipient can then go on to the store and use their gift certificate to purchase the product of their choice. On checkout they will see a field to enter their unique code. 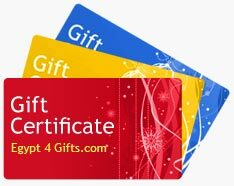 If the value of the gift certificate is higher than the item purchased then the remaining amount will be saved for use at a later date. If the shopping cart total is higher than the value of the gift certificate then they can continue with the checkout and pay the difference through the store.